If your website has installed an SSL certificate for added security, you will want to add a redirect so your website now loads on https:// making use of the encryption rather than the old unencryted version on http://. Under the 'Domains' title, click onto 'Redirects'. 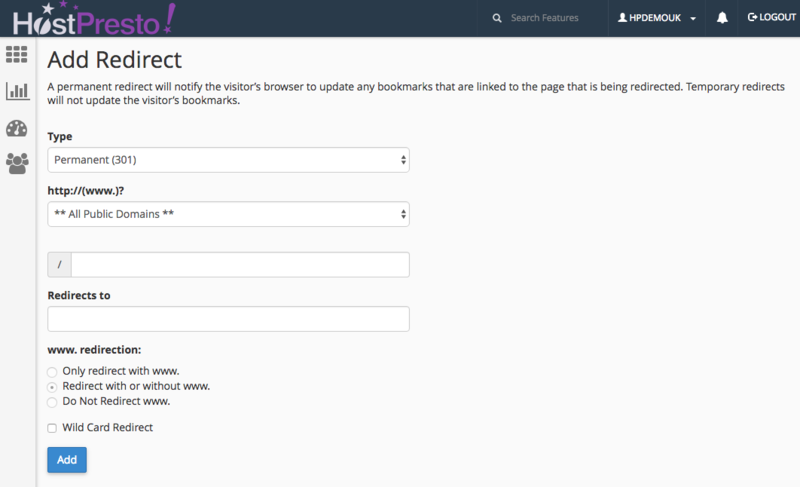 Select and enter the respective information for the redirect. Type - Select 'Permanent(301)' . http://(www.)? - Select the domain from the drop down menu. Redirection type - Select 'Redirect with or without www'. 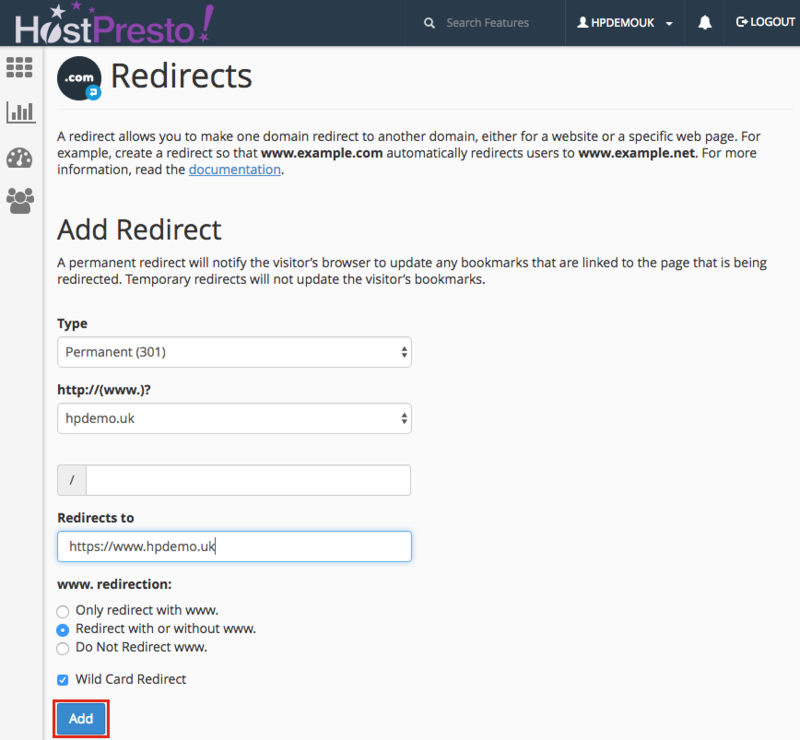 Wild Card Redirect - Tick this option. Once you have entered the redirect information, select 'Add' to complete. Redirecting your website from HTTP to HTTPS is now complete. How do I use the site builder?